Please go and like us and that king of stuff. 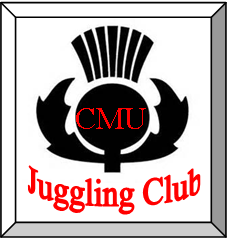 We are entering our second year of Juggling with the CMU Masters of Flying Objects. This has been a great help to Brigade. First off they have many jugglers that are better than our best jugglers. This gives us something to aim for. Also it has been an invaluable help for team juggling. It goes so much faster when you have someone a lot better than you to pass to.